Lovingly known as The Old Folkie, Ken Sizemore has been performing folk and early pop music nationwide for more than 50 years. As a folk singer and guitarist, Ken plays the “classic” folk music of the 50’s, 60’s and 70’s—songs by such artists as Peter, Paul, and Mary, The Kingston Trio, Pete Seeger, Bob Dylan, Woody Guthrie, John Denver, Gordon Lightfoot, Joni Mitchell, Simon and Garfunkel, Don McLean, and many others. While based in Nashville for almost 30 years, Ken performed as a solo artist, as part of the folk duo “Judith and Ken”, and with the folk trio “The Folk Revival.” He has done thousands of concerts over the years and has played for audiences all throughout the United States. He returns to Nashville several times a year to perform folk music programs and at Folk Festivals. Ken moved to Panama City in 1999, and has continued to perform all over the southeastern US. Ken will be appearing at Cat Pointe Music on Sunday, March 24, 2019 at 3:00 pm. Admission is $10 and, as always, Cat Pointe in BYOB. 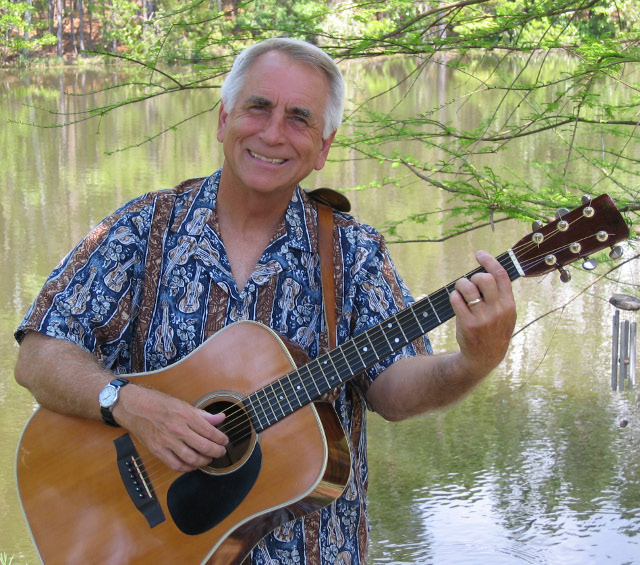 So bring your favorite beverage, sit back and enjoy a musical time travel with Ken Sizemore – The Old Folkie!